Poptone Announces Tour Dates – Cleopatra Records, Inc.
Daniel Ash�and�Kevin Haskins�� who spent large swaths of the �80s and �90s performing together in the seminal acts Bauhaus, Tones on Tail, and Love and Rockets have reunited to form a new band called POPTONE with Haskins� daughter Diva. 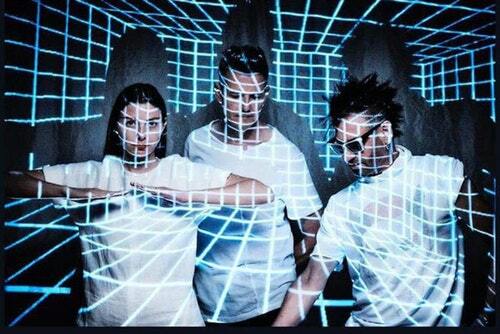 Poptone will perform the music from their three classic bands on tour in the US. Includes the classic TOT singles �Go!� and �Christian Says� plus Love & Rockets tunes �Mirror People� and �Ball Of Confusion,� Bauhaus�s �Slice Of Life� and lots more! The band�s live performances have been huge draws and this album will be supported with a full scale tour starting in May! Bauhaus Undead�s aesthetic reflects the band’s art school origins to create an elegant and tasteful art book. This deluxe coffee table book is a fitting tribute and celebration of the legacy created by this groundbreaking band.